The problem is that one errant Instagram or Pinterest like on anything remotely related to cooking, budgeting, health, or fitness, and your discover feed may well be flooded with over-the-top #mealprep posts, proposing elaborate planning that would have you eating... the exact same breakfast, lunch, and dinner, every single day of the week. This is no way to live. Besides the fact that you're making your nutritious meals somewhat less nutritious by creating such a redundant level of intake, food is one of life's great pleasures, and to eat the same thing for every meal five days a week is to reduce a potential source of joy. There's a simple solution to all of this, and it lies in your freezer. The system works as follows: any time you make a big batch of something (soup, rice and beans, a burrito bowl, a stir fry... really almost anything), dole a couple of individual portions of it into Tupperware — label them with meal info and the date, if you're really organised — and toss 'em in the freezer for safe keeping. 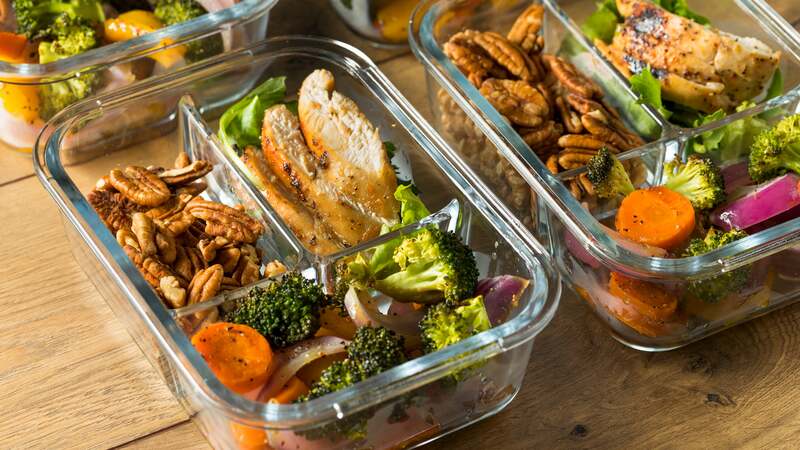 This way, you're slowly building a cache of the healthy, homemade equivalent of frozen dinners, while avoiding eating so many servings of any one recipe that you grow to hate it. Have that vegetarian chilli a couple of times in one week, for instance, then bring a frozen serving of it in to reheat at work a few weeks later, when you're in the mood for it again. This is also a brilliant strategy for huge amounts of leftovers. You're still doing your due diligence to create nutritious, budget-friendly meals for yourself, but now you're doing it in a way that allows you to space them out, enjoy some variety, and avoid making yourself miserable. Just don't freeze and reheat anything more than once.